Nine audio describers, who completed Arts Access Aotearoa’s three-day audio describer training course, received certificates from Her Worship the Mayor of Wellington Celia Wade-Brown on Friday 11 April. “The Council is committed to ensuring the arts and culture are accessible to and inclusive of everyone living in our city,” the Mayor says. “This course has filled a gap by training people in audio description and I would like to congratulate the nine audio describers. 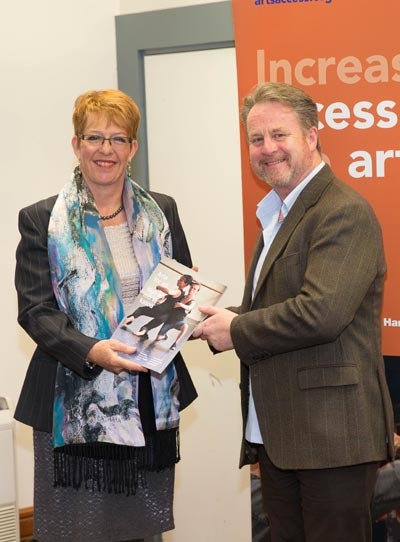 The Mayor presented the certificates at the launch of Arts For All: increasing access to the arts for disabled people, which profiles a number of Wellington artists, arts organisations and museums. First published in late 2009, this new edition of Arts For All provides updated information and ideas to support arts organisations, touring companies, festivals, museums and galleries to become more accessible to disabled patrons. There’s an additional chapter on digital media and accessible technology, along with reflections from disabled artists and arts enthusiasts about what it means for them to have access to the arts and culture. Richard Benge, Executive Director, Arts Access Aotearoa, says there has been significant progress and increased opportunities for disabled people to engage in arts and cultural events in recent years. Before 2010 there had been one audio described play in New Zealand. Since then, there have been more than 30 audio described performances of theatre, musical theatre and opera around the country. Also significant are the number of New Zealand Sign Language interpreted performances for Deaf patrons. For example, Circa Theatre has provided two sign interpreted performances of plays in the past two years, along with three audio described performances – with a fourth in the pipeline in mid 2014. And this year’s New Zealand Festival was its most accessible and inclusive event yet, with six sign interpreted events. 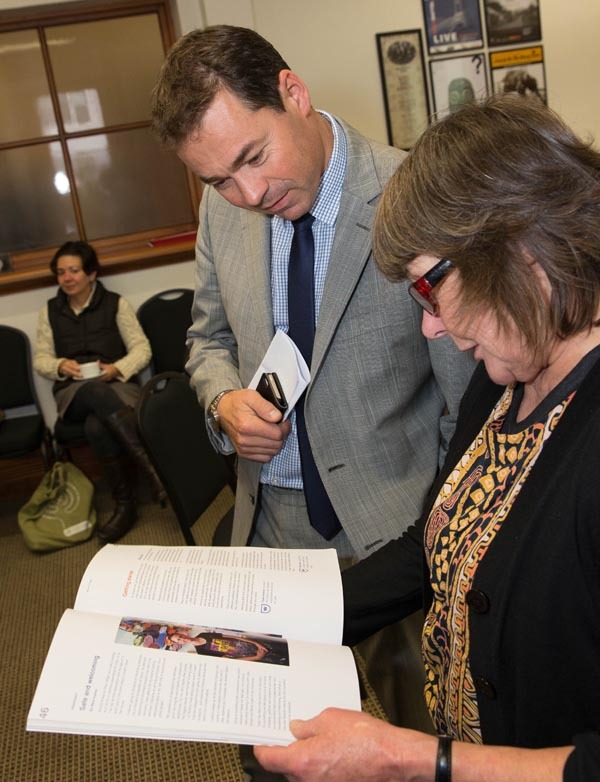 This edition of Arts For All was published by Arts Access Aotearoa with funding from Creative New Zealand and Wellington City Council. Original generation time 1.4606 seconds. Cache Loaded in: 0.0355 seconds.